I had an opportunity in March 2002 to visit wee bonnie Scotland, and a wonderful, exciting trip it was. The Scottish people were invariably pleasant, friendly, and more than eager to tell you about their history and culture. Edinburgh is a vastly fascinating, kaleidoscopic mix of ancient and modern. I hope you enjoy my photographs of this beautiful, endearing land. This is a shot of the capital city Edinburgh, taken from the Salisbury crags in Holyrood Park. Edinburgh Castle is right in the center of the photo. 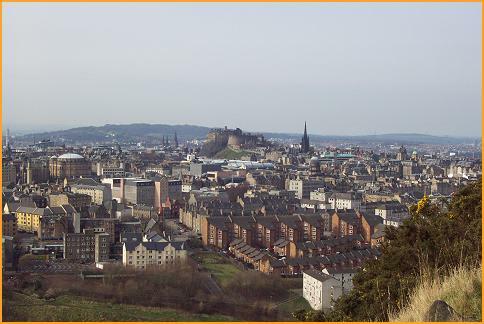 Built on an extinct volcano, the Castle is a dominating presence in any part of the city. 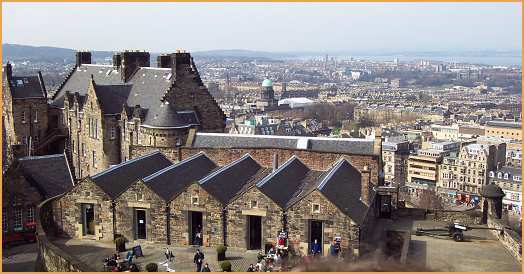 The Royal Mile (High Street, the main street through Old Town Edinburgh) extends from the Castle toward the right. 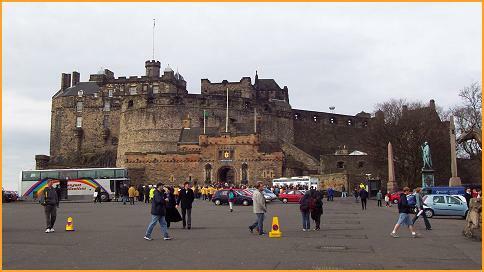 The entrance to Edinburgh Castle. Probably the most popular tourist destination in the country, it is busy at all times with tourists from all over the world. 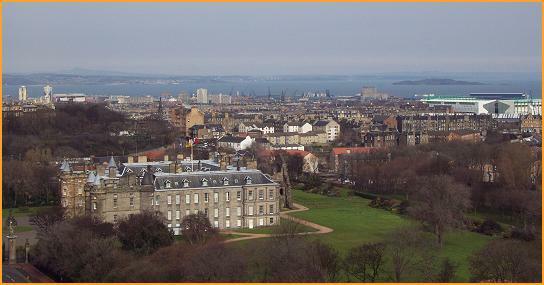 The Argyle Battery, with New Town Edinburgh in the background. The cannon in the lower right corner is shot off at 1:00 PM in the afternoon, initially as a timing signal for ships coming and going in the Firth of Forth, but now done as a tradition. On the left is the interior of St. Margaret's Chapel on the grounds of Edinburgh Castle. 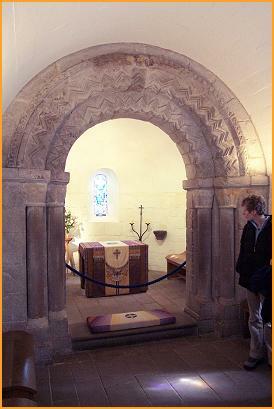 The chapel is the oldest existing structure in the Castle, being built in the 1200s. 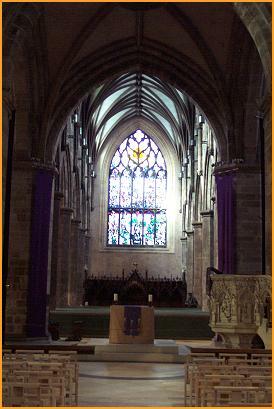 The photo on the right is the interior of St. Giles Cathedral on the Royal Mile. This is one of my favorite photos of Edinburgh. You can see Holyrood Castle, where the Queen stays when she is in town, and the Firth of Forth in the background.